More polytechnic students will soon get the chance to explore career opportunities in the urban sector. Education Minister Ong Ye Kung recently launched the Future City Programme, which aims to bring together students from the five polytechnics here, industry partners, and government agencies to work on infrastructure and community improvement projects. The Future City Programme will focus on the fields of engineering, information technology and design. The initiative is an opportunity for the polytechnics to work together to encourage more students to consider career opportunities in these fields. 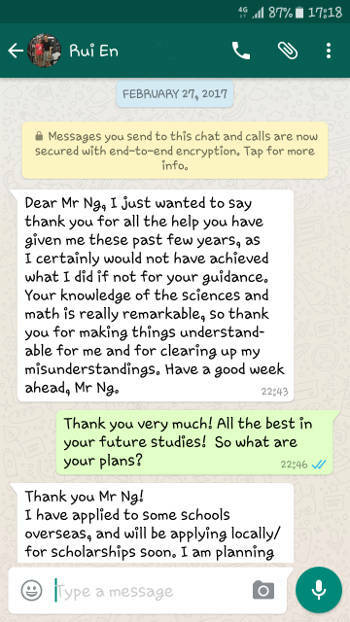 I am a private tutor specializing in Mathematics tuition and Statistics tuition for Junior College and Undergraduate levels. I also tutor Physics and Chemistry for Junior College and Secondary School levels.